We are a leading manufacturer of high-quality sheetfed inks, coatings, blankets, fountain solutions, pressroom washes and cleaners, anti-set-off powders, and more. In most of our production locations, the entire process chain from raw material to the finished product is housed under one roof, allowing us to maintain stringent quality and process control. Building on drupas vision, Flint Group will demonstrate how it will “Colour the Future” with its vast range of inks, coatings, pressroom chemicals, flexographic plates and equipment, mounting sleeves printing blankets and print services and solutions. And now, with the establishment of the Digital Printing Solutions Division, our presence at drupa will be bigger and more visible than ever before. Hall 3 in the South of the fairground will be home to a small Flint Group information booth, which is situated in the heart of the ink and print consumables suppliers area. Hall 8b in the Northern sector of the show will house a 245m2 Flint Group prepress stand. This stand will be shared by the Flint Group division Flexographic Products and Thermoflex, which comes with Xeikon. 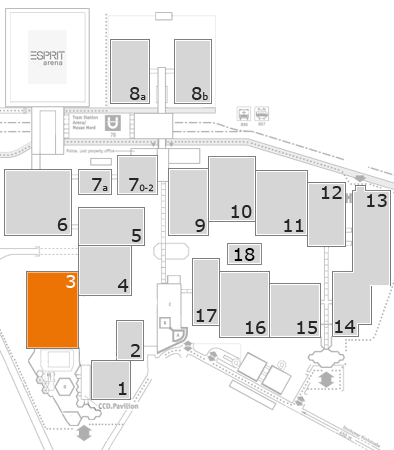 Hall 8a is the location of our main 1,200m2 stand. Joint branding of Flint Group and Xeikon will clearly highlight the exciting pairing of Flint Group and the worlds number 2 in digital print, Xeikon. These three showcases in three different halls, announce the leadership position we now have in the print industry, globally.